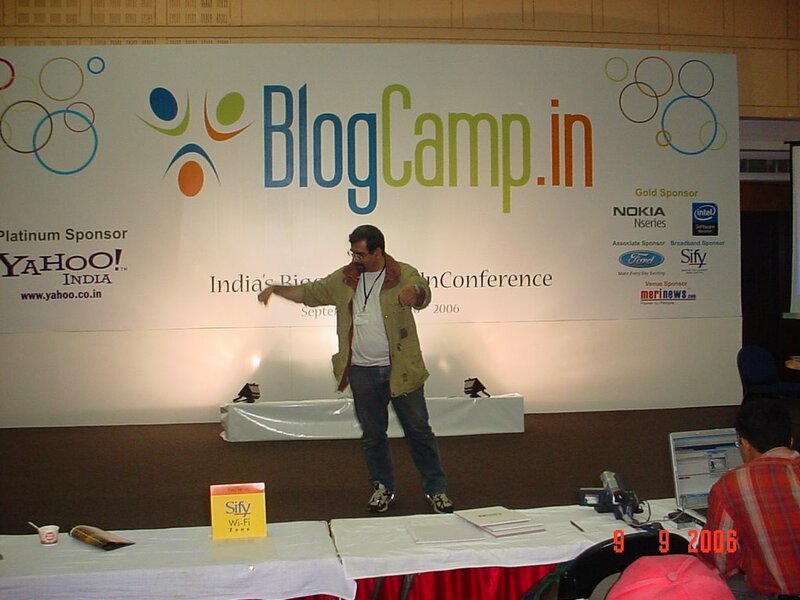 Then there was Atul Chitnis, the senior daddy of blogging, who has been at it since the nineties. . By way of sharing URLs, people proved that the time tested custom of exchanging business cards can sometimes appear so passe and unfashionable. "Everything's there", said a guy, as he mailed his blog URL to me, meaning, his contact details are on his blog and available at a click! 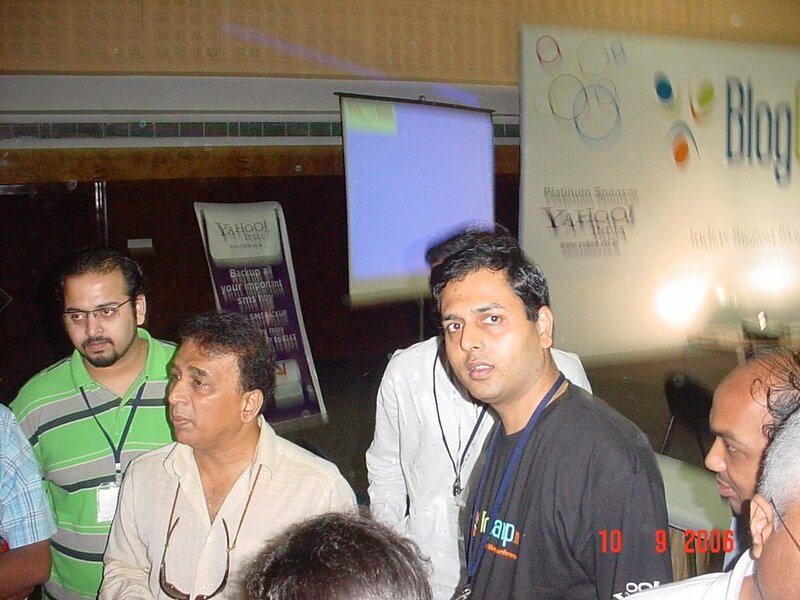 On Day Two, we had Sunil Gavaskar delighting the crowd with the effortless ease with which he connected to the medium. 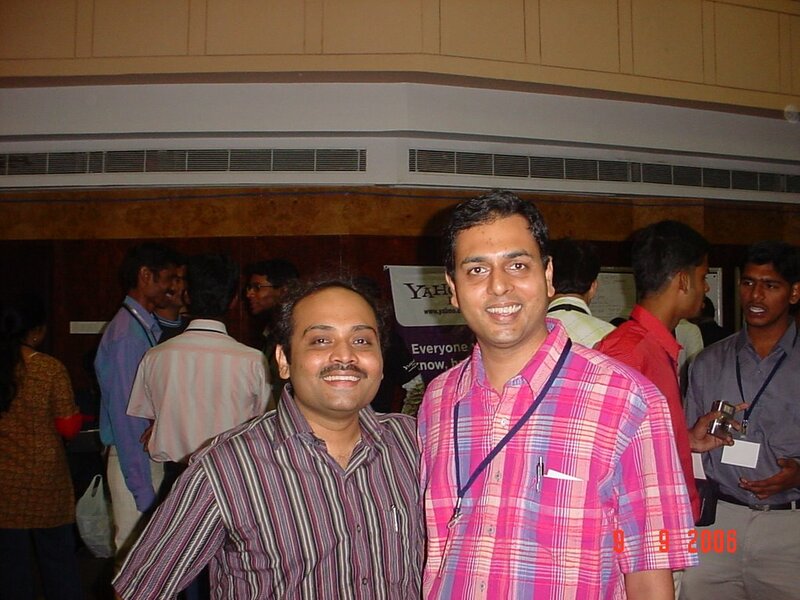 Sunil does podcasts on cricket for Yahoo, which incidentally was the lead sponsor for the event. Blogging had its own set of converts. Mrs Geeta Padmanabhan, who wrote a beautiful piece in The Hindu Metro Plus a few days after the Blogcamp, is herself a convert to blogging. She has started her blog titled Grandma's Tales which kicked off with great elan. SIFY had WI-FI litup the venue, thank you SIFY, since that enabled Bloggers with laptop to make online postings. Those not having a machine of their own, had the option of using one of the machines SIFY had helpfully arranged. Thanks Rajesh. I'm glad you liked the piece. I was at the Blogcamp on both the days and had a great time. Was a pleasure meeting you and got to learn a lot of things from you especially the akshargram thing. Hi thank you for that post on blog camp. Though I was not there, I was able to understand the spirit with which the programme was conducted. It's realy encouraging the blogging community in India Thank you once again!